I am finally in the habit of taking my reusable bags in every store, not just the grocery store! It was one of my “eco-sins” for awhile, as I could never remember them, but I finally have a system. They key to remembering to use reusable bags is to have plenty of them! We were just sent a great bag by ReUseThisBag.com . The bag is very sturdy and washable. Keep plenty of bags in the car at all times. If you forget to bring a bag in a store, you either have to go back to the car or simply carry your goods out in the cart or by hand. When you bring your bags inside the house, put them in the laundry to be washed. Have a large basket by the door where you keep the clean bags. When headed to the car, restock your supply. FACT: The largest opposition to the ban of plastic bags comes from the petroleum and plastics industries and of course, consumers that don’t want to change their habits. FACT: plastic is the largest source of ocean litter. The second most abundant ocean pollution, is cigarettes. FACT: Ocean debris worldwide kills at least 1 million sea birds and 100,000 mammals each year, the U.S. National Oceanic and Atmospheric Association has estimated. The litter is most severe in the East Asian seas region, which includes countries such as China with a population 1.3 billion people and where, according to UN figures, almost 60 percent of men smoke. FACT: 4 trillion to 5 trillion: Number of non-degradable plastic bags used worldwide annually. FACT: Australians were using nearly 7 billion bags a year, and nearly 1.2 billion bags a year were being passed out free in Ireland before government restrictions, according to government estimates. FACT: Plastic industry trade associations were unable to provide estimates of plastic bag use in the United States. However, based on studies of plastic bag use in other nations, the environmental group Californians Against Waste estimates Americans use 84 billion plastic bags annually. FACT: The first plastic sandwich bags were introduced in 1957. Department stores started using plastic bags in the late 1970s and supermarket chains introduced the bags in the early 1980s. FACT: About 100,000 whales, seals, turtles and other marine animals are killed by plastic bags each year worldwide, according to Planet Ark, an international environmental group. Please make an effort to end the single use plastic or paper bag habit! I have a well working system as well. 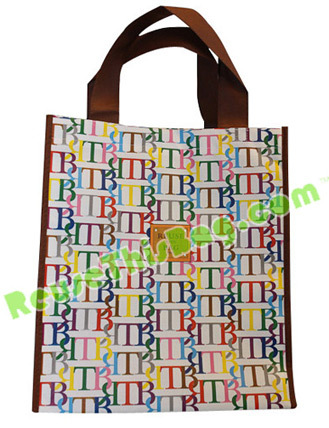 I use really sturdy and foldable bags (www.kerribag.com) They can easily be wipe cleaned. After unloading them in my kitchen, if there has been any spills, I wipe clean them, then I fold them and put them next to the door. When I go out I put them into my car. I never forget them anymore! That’s a great idea to make them from old t-shirts!